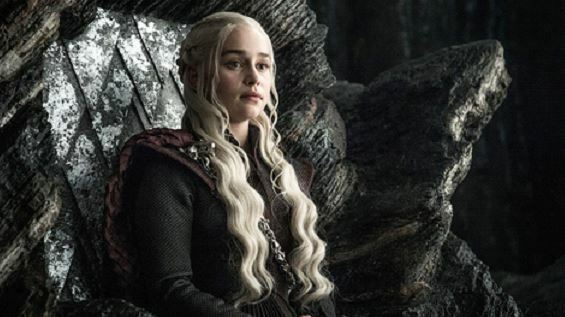 Whether you’re a keen bettor waiting to find out if you placed your money on the right character to end on the Iron Throne or enjoy the series for its extreme attention to detail, season eight will not disappoint when it comes to surprises and fashion. No matter the amount you are betting on the outcome of the final season or whether you choose to predict who dies first or wears the iron crown. Michele Clapton says the outfits the characters wear says as much about their position as about the character wearing it. From the fur-collared coat of Jon Snow to the leather ensembles of Dothraki, the clothes show their current position in the quest for ultimate power. It is not the first big-budget series, Clapton is a part off, she also worked on the wardrobe for the crown. In both series, the tiniest details count. The clothes worn by so many different characters in Game of Thrones is an enormous job. According to Clapton around 120 principal costumes is needed per season and the team consists of around 70 up to 100 people. The specialist part of this team includes jewellers, dyers, metal workers, armourers, printers, leather workers, cutters and embroiderers. In Game of Thrones, the characters State of mind and position is reflected via the costumes. Clapton says that each character’s clothing is related to their journey. Clothing or the costumes are made 99% in-house, and everything is done on site. Most of the fabrics are made from scratch while tons of beads, shells, feathers, leather pieces and crystals have been collected over several years. But does Clapton know who you should place your bet on as the one that would sit on the Iron Throne? Clapton answers that from 2011 to 2016 a master embroiderer came onboard to create designs to match the show’s narrative. Embroidery is subliminal in telling the character’s story. So, what about the cape of Jon Snow? Clapton says the heave cape he wears makes a significant statement. When Snow needs to appear vulnerable, he is not wearing the cape. Sansa is also wearing a cape, and it is to show she has the circle and that she is bringing all that she had been through before via her cloak. In her case, the cape is her strength, and it asserts her as independent and no longer being manipulated. In an interview with Vanity Fair, Clapton said that Daenerys outfits were designed to show off movement when she is showing off her skills in dragon-riding. What viewers will find is that there is a bit of red in Daenerys coats and that is to show off her confidence. Her clothes are designed to show that she grasps her power and also indicates that she feels a lot closer to coming home.